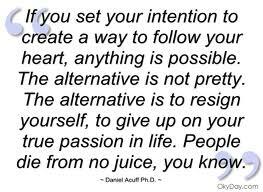 Intention is a soul goal, if this is in the highest interest for me and the people around me, let it happen. I had an ah moment that I wish I could share how I came to it but it's very personal. Let me just say that the lesson that I learned was that the point is that I shouldn't do things to feel things. Like I have in the past, I should let some things go so that I can pursue the dream I am meant to live. 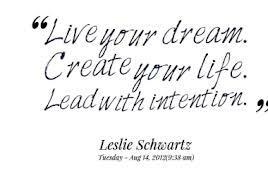 I watched an Oprah Life Lesson on line tonight and it was about intentions. Wishes are like wanting someone in your life because you're lonely. I really think that is what was going on when I met Andrey. I was lonely, I attracted him because I wasn't content with myself. Intention is wanting what's best for everyone involved and not being selfish. Also I learned another lesson today, I do the best that I can with my children, yes I can improve. We all can. I'm also a woman who needs to balance my life. I have work,Valentina, Andrea, my friends, my blog. Somehow I have to find time for me. I'm making me a priority, if I don't, no one else will. If I believe in my dreams and I do, I just have to relax and wait. 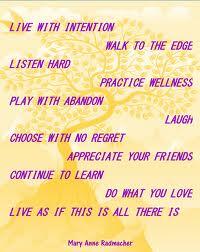 I need to really start living my life with intention. I was too much into just wishing, I have to stop wishing and start giving of myself. I'm starting on this journey today, where I am de cluttering everything by half. So far I have 3 big garbage bags. I am on a mission. The more I purge, the more free I become. I had an amazing talk with my 'D' the other night. I was messaging all these insights I've had while purging. Anyway back to my conversation, it just flowed easily between us. Just like old times. It felt so great, it was like I was bottled up and I just over flowed and it was all with happiness. It's just good to have someone I can say whatever I want to:). I'm going to add to this daily while purging, I'm very excited so far, I feel as if I've gained some of my power back. I've lost another 5 pounds too, so down by 14 pounds. Also down 2 dress sizes, I'm loving this power I feel. I purged another bag from the hall, it is really unbelievable how much stuff we acquire. I'm making a concerted effort to stop buying needless stuff. I know that I cannot think clearly when my house is in such disorder. Once I'm done the house, I'm going to clean my desk at work, another spot of chaos in my life. If I plan to advance in my company, I have to be neat and organized. I'm also going to stop saying I can't learn something. I'm diving in and I will learn it. I'm smart, I can do it!!! One more room down and 3 more bags taken out to de clutter. Two more rooms and I'll be done, than I just have to maintain. That has to be easier than what I've been doing, leaving it to this point where I have to spend an enormous amount of my hours and energy to clean and organize it. Today was the big day, Valentina's room. All I can say is 10 bags and now her room looks like a room for a princess, princess Valentina. It took 10 hours for me to remove stuff and clean her room. I was disgusted by how much junk she had but now I feel like I'm giving her a beautiful serene place to sleep. I had been thinking about how stern I was going to be with her about her keeping her room clean and I will be diligent but first I want her to enjoy it and know that I am grateful that I could give her this happy, clean room. I want her to know she's special and I love her. I want her to see my eyes light up when she comes in the room. Maybe if I'd had that while I was growing up, I wouldn't have wasted most of my life trying to validate myself through people. This whole purging has been so amazing, I am in awe of my drive to finally get what it takes to get my house together. This last week has been spiritual with how I've shed the physical weight of clutter out of my life, it's very freeing. Everyone should try it, it took a massive commitment on my past. I spent about 25 hours cleaning and purging. I'm lucky to have Cindy as she took Valentina for me so all I had to think about was purging. I still have my room, that should only take a few hours which I will do on Monday or Tuesday. I've already made a commitment that I'm going to spend 30 to 45 minutes each morning and night to organize and clean so that I won't have to go through this kind of crazy house cleaning again. It's been a long post but it was my only way to be creative while I was purging and cleaning, now I can get back to blogging more regularly. It's hard to make big changes, but it sounds like you are making great headway. It is also difficult to sort through and decide what to keep and what to get rid of. I am in deep need of this decluttering in my life too The chaos is overwhelming some days. I sooooo need this too. There is so much cleaning to be done in my house and I hate it. You lost a lot of weight Launa, you must look amazing...looking forward to some photos with you in those smaller dresses. Congrats and kisses. Thank you Petronella, I had to decide to make the decision about the cleaning, otherwise I'd still be sitting in the mess:). I'll put some pictures up as soon as I lose another 20-25 pounds;). Okay first of all de-cluttering is a great way to cleanse your spirit. Get rid of all that no longer suits you or your life. I did it and WOW it empowered me in a big way. Now I am letting you know, I have decided to give you a small gift it is the Liebster award, you need to go to my blog to get the instructions if you haven't done this. NO worries you do not have to participate if you don't want to, I won't be offended it's all in good fun is all.